You&apos;re sitting down watching a movie or binging on your favourite box set, but all the jumble of cables and peripherals around it are a nagging reminder that you need to sort that out... one day. It&apos;s one of those projects that never gets done. Sound familiar? Your house is about to get a lot busier than normal over the Christmas break, and you&apos;re probably going to be watching lots of telly, so now is the perfect time to get things tidy and organised so you can really enjoy the fruits of your labour! 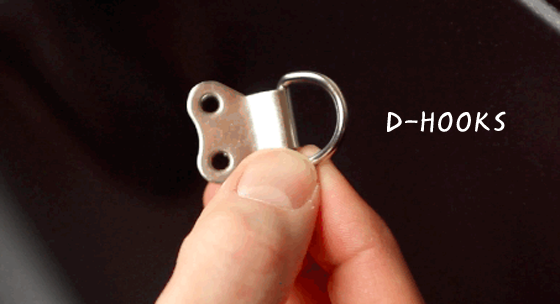 - D-hooks — these are normally used for hanging pictures with screws, you can find them at your local hardware store. 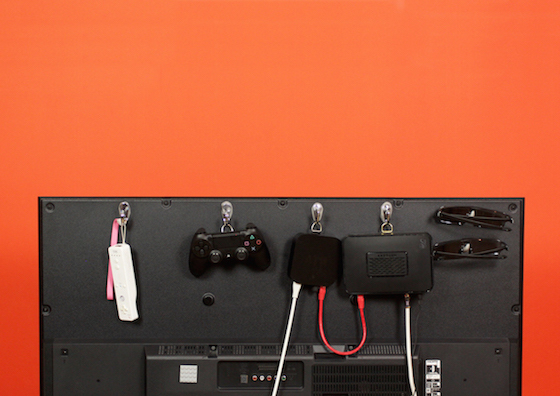 Step 2 — stick one piece to the back of your hook and press it onto the back of your TV. Step 3 — stick the other piece to the back of the D-hook and attach this to the thing you want to hang up. In 24 hours the Sugru will be fully cured and you can get back to enjoying your clutter free TV. If you don&apos;t want to buy metal hooks, you can also create hooks from Sugru, we used them here to hang up two pairs of 3D glasses. 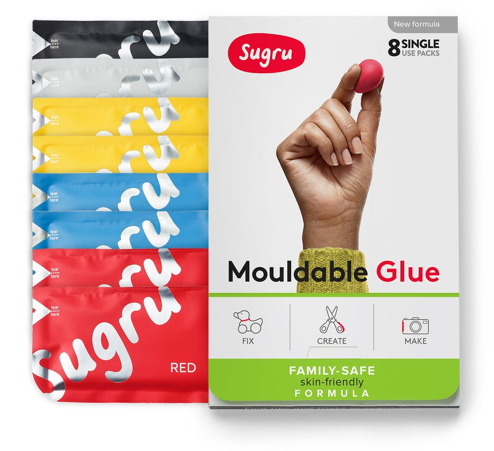 Sugru makes this project nice and easy because it&apos;s mouldable, sticks to most materials and forms a strong bond for as long as you want it. So you can stick a metal hook to a plastic router. Plus Sugru is removable, so you can take it off again if you ever decide you want to. And this is just the beginning! Just think of all the places around your home that could do with a handy hook. In the hallway for your keys, in the bathroom for your towels, or on your radiators to keep your stuff dry and cosy?